A (possibly female) Anolis wattsi, also known as a Barbuda Bank Baush Anole. These little guys and many other small anoles and lizards were found all over the resort as the day warmed up. 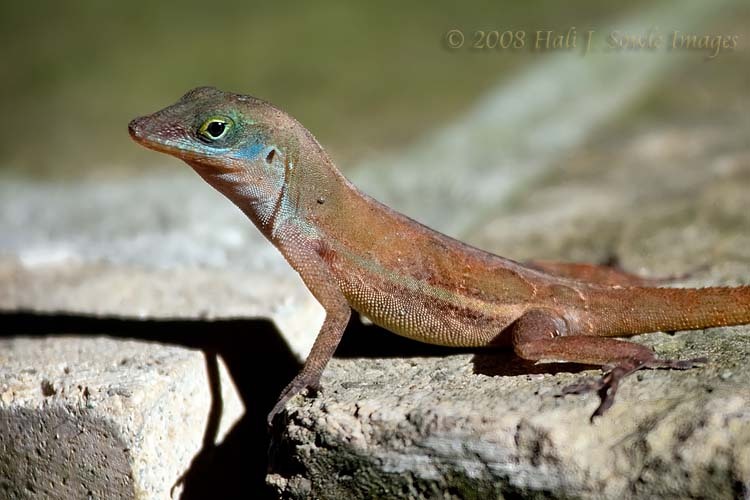 Anoles are relatives of Iguanas, just much much smaller.